Join us for the 2018 me Convention, a collaboration between Mercedes-Benz and SXSW taking place in Stockholm from September 4-6, to hear talks from ABBA supergroup star Björn Ulvaeus and the inimitable Annie Clark (St. Vincent), get personal advice at a mentor session with German DJ and record producer Felix Jaehn, and explore alternate dimensions at various art installations. A vital element of the event, the eclectic and carefully-curated program is where the atmosphere of the me Convention comes to life. Explore programming highlights below including more details on the evening program featuring parties, concerts, a film premiere, and art installations. The Fotografiska Museet, housed in an old customs building directly on the waterfront in the city’s docklands, will play host to the me Convention opening ceremony. Following a welcome address from Anna Gissler, CEO of Stockholm Business Region, me Convention participants will enjoy a special performance by Felix Jaehn. This panel featuring Swedish music legend Björn Ulvaeus and Frank Briegmann, President & CEO Central Europe Universal Music and Deutsche Grammophon, is among the highlights of this year’s event. 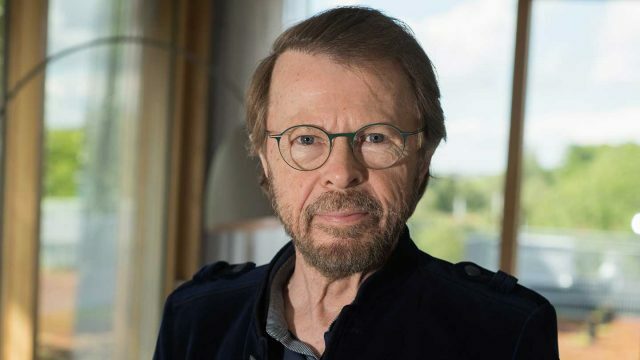 Ulvaeus and Briegmann will talk about the international music industry, what’s driving artists and record labels in the music business right now and the role played in the sector by global digitalization. They will also discuss the significance of technology in being at the forefront of the competitive field and the characteristics and skills necessary to make it to the top, alongside an exploration of the greater me Convention themes. Annie Clark aka St. Vincent | In the theatre’s Kägelbanan Club, experience a special DJ set from Annie Clark. The Grammy Award-winning musician’s sound explores emotive ballads, upbeat pop arrangements and experimental spaces alike, incorporating postmodern guitar solos and electronic pulses that display a sweetly sinister sensibility. Her latest album, Masseduction, was released in late 2017 and was The Guardian’s Album of the Year, while Jon Pareles of The New York Times named it his #1 album of 2017.
smart Startup Slam | As part of the smart urban pioneers support program, seven international startups will present their ideas to the jury of Scott Wilcox (Chief Innovation Officer at SXSW) and Nat Parker (CEO Moovel North America). The unusual challenge here is that the business ideas will not be presented by the startups themselves, but by one of the other competitors for the title. More Human Than Human Swedish Premiere | In this deeply personal, light-hearted and dramatic AI documentary, directors Tommy Pallotta and Femke Wolting examine the question of the extent to which AI could replace human beings and, in this instance, take over the work of a filmmaker. 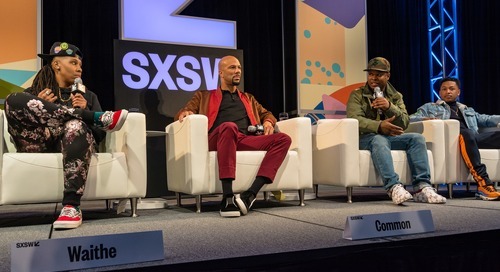 The film celebrated its world premiere at SXSW in Austin in March 2018. The trailer gives a first impression. Special Acts at the Kägelbanan | In cooperation with the Live at Heart Festival, indie artists Tall Blonde and Simon Alexander will warm up the large terrace, to be followed by the soul and hip-hop mix of Adée and the electronic beats of Elle Exxe. The evening in the Kägelbanan will close with a set from creative collective Ladieslovehiphop. The wrap party takes place on Thursday, September 6, at the Mercedes Pop-up Store in the heart of Stockholm. TIDAL will provide a selection of cool sets while participants enjoy a relaxing atmosphere and look back together on three inspiring days at the me Convention. Philharmonic Orchestra VR Sound Stage | Explore outer space with London’s Philharmonia in Beethoven’s Fifth, a VR film commissioned by Google Daydream in partnership with NASA. This eight-minute experience cuts together scenes from space, imagining where Voyager 1 is traveling now, with footage of principal conductor Esa-Pekka Salonen conducting the Philharmonia’s performance of the symphony. Don’t miss this and other immersive installations at Nacka Strandsmässan. Symbiosity of Creation by Elvin Flamingo | Polish artist Elvin Flamingo presents his “Symbiosity of Creation” installation at the me Convention. The four-part and long-term project questions the anthropocentrism in mainstream art and is expected to run until approx. 2034. Inside Tumucumaque | In this interactive virtual-reality installation, guests can immerse themselves in the lives of rain-forest dwellers and experience the unique ecosystem of the Tumucumaque National Park in northeast Brazil. IBM: Bots and Blocks | A new world is emerging of intelligent robots and trusted communications using Blockchain. Participants can explore these technologies and understand how they might transform the way we work, rest, and play now and in the future. MB Fashion: #WeWonder | For over two decades, Mercedes-Benz has been partnering with fashion (@MercedesBenzFashion), globally shaping developments in design and new takes on sustainability. The Mercedes-Benz EQ is our vision for the future of mobility – what are the visions for the future of fashion? In a VR world participants can draw up their ideas, visions, and thoughts on the future and show them off on Instagram using #WeWonder. Digital Life: The Future of Work | As technologies evolve, a new way of working is emerging: one where employees are given agency in creating, organizing and leading, and where teams are being involved in the decision-making processes. The result: mutual trust, higher morale and increased creative output. Guests can future-proof themselves and join the discussion sharing insights into how breaking away from standard company structures allows innovation to thrive. Participants can find out how leadership is being revolutionized and get inspired to #createthenew. There’s still time to join us for three days of expert talks, inspiring keynotes, workshops, interactive labs, and art installations, and a special program of evening events that will be held September 4-6 throughout the historic city center in Stockholm, Sweden. Download the official mobile app for the 2018 me Convention to stay connected and up-to-date on all programming details. Browse 100+ sessions, build your custom schedule, RSVP to mentor sessions, workshops and guided tours, and network with other attendees. Available now for Android and iOS. Get ready to #createthenew in Stockholm with us! The post ABBA Founding Member Björn Ulvaeus, Annie Clark (St. Vincent) & More Join 2018 me Convention appeared first on SXSW.